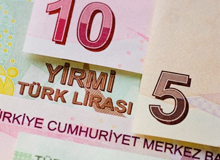 Insurance firms´ profits reached over 1 billion Turkish lira in first nine months of 2014, according to new industry data. Turkey’s insurance sector grew 6.4 percent in the first 11 months of 2014 compared to the same period last year. Although the Turkish economy's growth rate stood at 2.8 percent in the first nine months, the insurance sector showed a major increase. Nearly 20 billion lira ($8.6 billion) of premium production was related to types of insurance other than life insurance, such as traffic, house and workplace cover; nearly 3 billion ($1.3 billion) lira was bought in life insurance. Insurance companies’ growth was reflected in their profitability. The sector’s profits reached over 1.07 billion lira from 978 million lira, with a 9.5 percent increase in the first nine months of 2014. Many foreign investors are in Turkey’s lucrative insurance market given its emerging economy and large population of over 76 million people.